From the Director's Desk - Research Matters! January is the month when the competing impulses are to look back and to look forward equally. The look back is the opportunity to once more say thank you for being committed to staying informed about scientific research that provides the evidence to support breast cancer risk reduction efforts. Some risks can't be changed but some can be modified and your ability to make an impact starts right here as you keep yourself informed and educated. This work needs all the ambassadors and advocates possible to raise awareness of what is known and what individuals and communities can do. The work also needs resources, including financial support. However you contribute, you make a difference. Thank you! Towards the end of 2018 some interesting studies came to ZBC's attention. Two of them aim to add to the efforts to learn about reducing cancer risk and the third is an example of research into the efficacy of education efforts (in this case on the very emotionally difficult topic of helping young women with metastatic breast cancer deal with end of life issues). ZBC is sharing these with you to expand your knowledge. The topic of body mass and cancer comes up in many different forms. Here is a study that sets out to answer the question "What proportion of cancer cases is attributable to excess body weight in each state in the United States?" The answer might surprise you. Hint: it's higher for women than for men but perhaps not as high overall as we may have come to believe. Anecdotal tales of some doctors urging weight loss as the only or most important aspect of (breast) cancer risk reduction concern us as being either too limited or potentially ineffective. Topics such as chemical, environmental, and workplace hazards are of great concern too. Zero Breast Cancer has long promoted the precautionary principle to encourage everyone to reduce chemical, radiation and pesticide exposures. With respect to lifestyle, healthy activity and a minimally processed whole foods diet are the messages that Zero Breast Cancer shares based on a philosophy of providing positive encouragement to modify risk in achievable ways. This approach is based on best practice in the field of public health messaging. The the non-profit Breast Cancer Over Time was founded by Polly Marshall, a breast cancer survivor. Following a successful pilot study to measure the effects of cosmetic products on 24 healthy women, the California Breast Cancer Research Program has awarded a $972,000 grant of cigarette tax funds for a full study with 60 women over two years.. You can read more background and context in a recent newsletter from Polly here. The research team also includes Dr. Shanaz Dairkee, PhD, Senior Scientist California Pacific Medical Center (CPMC) Research Institute, and Dr. William Goodson, M.D. Breast Surgeon CPMC. Dr. Goodson is a good friend to ZBC! Hopefully we can all learn more about these chemicals and take individual and collective action to eliminate those found most likely to be harmful to breast tissue. A very difficult topic is end of life planning for young women with metastatic breast cancer. Young Survival Coalition (YSC) aimed to improve younger breast cancer survivors' (those diagnosed at the age of 40 or younger) knowledge, attitudes and behaviors regarding understanding and accessing palliative care as well as deciding and communicating (EOL) wishes by studying the effects of an educational program called "The Shady Pink Elephant: End of Life Education for Young Women Affected by Breast Cancer." The results of this study are published in the Journal of Cancer Education. You can read more here. I am sharing this as an example of a study that evaluates an educational campaign for impact on knowledge, beliefs and behaviors. What's new for ZBC in 2019? 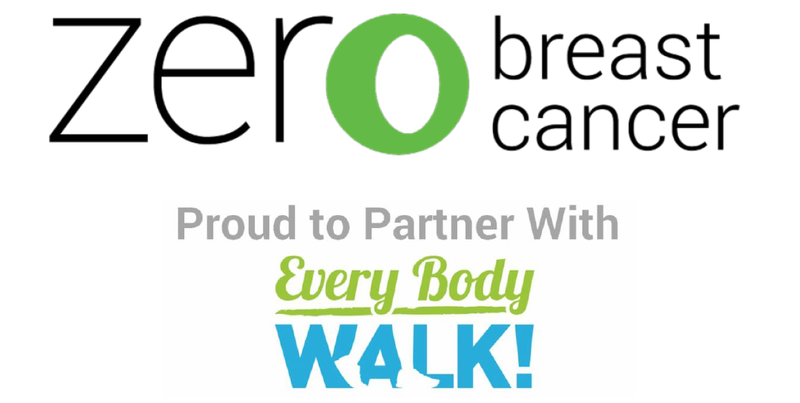 Sharing research, evaluating Zero Breast Cancer's educational campaigns for youth and teens and adding campaigns for survivors and potential parents are some of the new and ongoing areas of focus for 2019. If you know someone who would like to receive this monthly newsletter please send this link so they can sign up. PS Please don't forget its not too early to show your support in 2019! We count on donors like you. Thank you. A quarter century ago ideas about the disease of breast cancer were somewhat basic, screening was cookie-cutter and unevenly available and treatments for breast cancer were largely generic. Organizations like Marin Breast Cancer Watch – known today as Zero Breast Cancer (ZBC) – came into being alongside dozens of other organizations launched by fierce, intelligent activists who themselves had a breast cancer diagnosis, or who were very close to someone with breast cancer. Inspired by AIDS activists, these breast cancer advocates fought for funding for research into causes and cures as well as for resources to support awareness raising, education and services for breast cancer survivors. Today it is both heartening and challenging to realize how incredibly sophisticated our understanding of the group of diseases called breast cancer has become. The ways in which approaches to screening, diagnosis, treatments and treatment options, survivor care, and prevention of genetically inherited breast cancer risk have evolved to become less generic and more personalized is remarkable. The original impetus to search for the cause and identify a limited and clear cut number of environmental culprits has given way to an understanding that many lifestyle, environmental and even genetic and medical factors interact to impact the breast cancer risk profile of individuals in the context of the communities they live in. To educate diverse communities effectively, to focus efforts on modifiable risks, to empower the under-served has become ZBC’s animating purpose in this second decade of the 21st century. I came to ZBC four years ago via an unusual route. My connection to the topic of breast cancer was as a high risk individual with an inherited breast cancer risk but no actual diagnosis of breast cancer. My skill set was business rather than medical or research. My interest in the position of Executive Director of Zero Breast Cancer was piqued by a 20 year old organization whose environment had changed so much that a fundamental re-evaluation of purpose and relevance was needed. My charge was to work with the Board to examine and evaluate where ZBC fitted in. What was its unique focus, what was its value add? Was ZBC relevant? To whom? These are important strategic questions that any advocacy and education organization should ask itself from time to time – especially when the body of human knowledge about its primary topic has grown and changed. Over the last four years it has been my great privilege to accomplish something most satisfying; to both preserve and honor the spirit of the founders of Marin Breast Cancer Watch while helping re-position ZBC with answers as to its mission and role. Together with the Board, the staff, many supporters and partners ZBC is now focused on its updated purpose - sharing evidence-based breast cancer risk-reduction information for all ages and stages of life. ZBC does this by producing and disseminating engaging, innovative, effective education campaigns with a unique and distinctive focus on youth, teens and survivors. In a few short months’ time I plan to move on from the day-to-day responsibilities of running ZBC for personal and family reasons. I have asked the Board of Directors to launch a search for a successor who will take the ZBC of 2019 forward together with you and build on this solid, purposeful, respected organization to continue to serve communities in Marin County, the Bay Area and beyond. It is not yet time for an immediate goodbye from me but I do want to thank you our readers, donors and partners for your steadfast support of the mission of ZBC. I want to acknowledge the Board of ZBC for their intelligent thoughtfulness, their countless volunteer hours, their generosity as donors and for just being incredibly nice people. I also want to acknowledge the ZBC Scientific Advisory Group (SAG) for their expertise, guidance and support. Working with the Board and the SAG has added to the strong sense of meaning I have personally derived from leading ZBC for these past four years. I am grateful. Please read the statement below about the Executive Director search from ZBC Board President Melissa Felder. I am gratefully yours and a strong supporter of ZBC now and in the future! In January the Board of Directors of ZBC formed an ad hoc search committee which I am chairing. We have reached out to several highly regarded retained executive recruiting firms here in the Bay Area to provide professional services to conduct a search for Rose Barlow’s replacement. This week ZBC contracted with Penny Schultz, HR Consulting, LLC. to conduct this search. Work will begin immediately to update the ED job description and determine the ideal qualifications and skills for the next ED of ZBC. The updated ED job description will be posted on the ZBC website as soon as it is complete. The Board is grateful to Rose for providing many months’ notice, for her commitment to running ZBCs daily operations with her usual dedication and professionalism and for her availability to ensure an effective on-boarding of her successor once that person has been hired. Rest assured, ZBC’s mission to promote breast cancer risk reduction through translation of scientific research and evidence-based recommendations that support health and wellness at key stages of life will remain at the forefront through this leadership transition and beyond. If you have any thoughts or suggestions about the search please let Rose know the best number or email to reach you on and we will respond. Board President, Search Committee Chair. Like many health conditions, the risk of breast cancer can be impacted by exposure to harmful chemicals. As scientists have learned more about these problems, new resources have been developed for consumers like you. Detox Me is a free smartphone app that provides “…a personalized guide to reduce your exposure to toxic chemicals.” It has simple, research-based tips on how to avoid chemicals that affect hormones and choose safer products. For those of you seeking to reduce harmful chemicals in your daily lives, it will track your progress and offer you rewards! 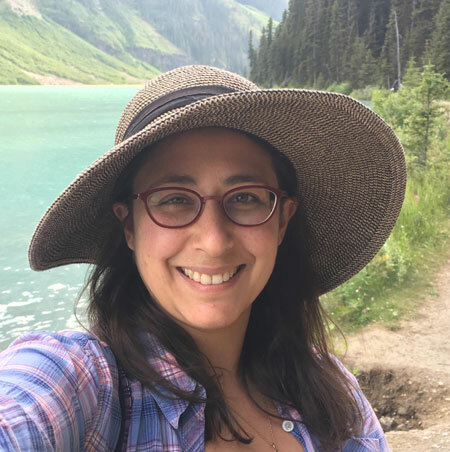 For the first interview of a new series, Get to Know ZBC Partners, we spoke with Helaine Alon, ZBC’s Communications Coordinator. Helaine started working with ZBC in October 2017. In her time with ZBC, she helped to overhaul the website and revitalize several social media pages. Helaine wrote numerous thoughtful book reviews and blog articles which we hope you have enjoyed reading! We ask you to join us in wishing her well as she is moves on to new opportunities. Thank you Helaine for the important work you have accomplished during your time with ZBC.